Eating the recommended daily intake of fruits and vegetables does provide necessary vitamins and minerals, but factors such as soil depletion of minerals and nutrient losses from storage, shipping and preparation suggest dietary sources may not be enough. For the cost of what many people spend for a daily coffee/beverage or snack, a well-rounded nutritional supplement plan can be affordable. Consider nutritional supplementation a form of good health insurance. 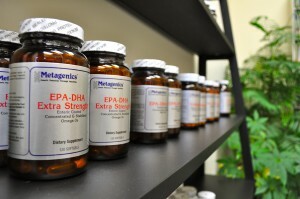 Are your nutritional supplements GMP Certified? GMP stands for good manufacturing practices. It is a certification given by the Natural Products Association to verify that producers of nutritional supplements follow the highest level of manufacturing standards. GMP certified companies routinely receive comprehensive third-party inspections of their manufacturing facilities to verify all GMP standards are met. GMP certification ensures that all manufacturing processes are sufficiently controlled so that the supplements match their labeling for purity, strength and composition.